You don’t need a flannel shirt or axe to pull off this look, just a little patience and some Paul Bunyan-sized commitment. It’s manliness at its best. Let your hair grow for at least a month. 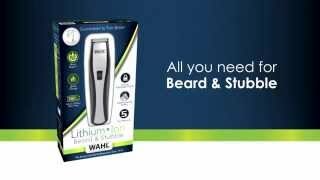 As hair becomes longer, you want to gradually start trimming with your Wahl® trimmer. Hair at the cheekbones should be trimmed neatly to create a clean line from sideburn to the outside of the mouth. Hair that grows underneath the cheekbones should get gradually longer as you get down to the jawline and around the chin. Use different trimmer guides to blend shorter hair into the longer hair. 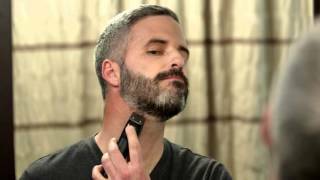 Allow hair to grow fully around the chin, but make sure to keep your neck clean-shaven. Hair around the mouth should be full. No areas should remain bare. The longest whiskers should be grown around the chin. Understand the length of beard you want and then use trimmer guide combs to achieve said length.